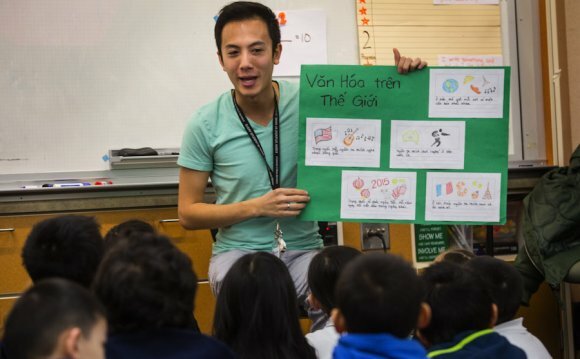 Three Seattle organizations have joined forces to open 1st Vietnamese-English dual-language preschool into the city, and likely initial within the state. The Hoa Mai Vietnamese Bilingual Preschool is planned to open this fall near the Mount Baker light railway station and is already accepting programs. Initial open house is planned for Feb. 28. The preschool expanded regarding conversations with Seattle’s Vietnamese neighborhood. Numerous moms and dads were dismayed that kids were growing up with no knowledge of the Vietnamese language and culture, said James Hong, manager of operations at Vietnamese Friendship Association. The connection, working together with Sound childcare Systems and Artspace, decided to start a dual-language preschool to assist target that issue. Some parents stressed that young kids learning two languages may well not master often, Hong stated, but “research we viewed … shows its smart off ultimately. “It was exciting for us to learn that a young child can learn two languages at precisely the same time rather than fall behind, ” he said. Seattle currently has actually other dual-language preschools, and some dual-language elementary schools, where instructors speak English and either Spanish, French, Japanese or Mandarin Chinese. Some businesses currently provide Vietnamese classes for small children, Hong said, but Hoa Mai will be the very first certified early-learning provider to supply a Vietnamese-English program. In some for the brand-new school’s classes, teachers will speak Vietnamese one-day and English next, Hong said. In other people, one teacher will talk just Vietnamese another would speak English. The method will change based on the course and generation, Hong stated.